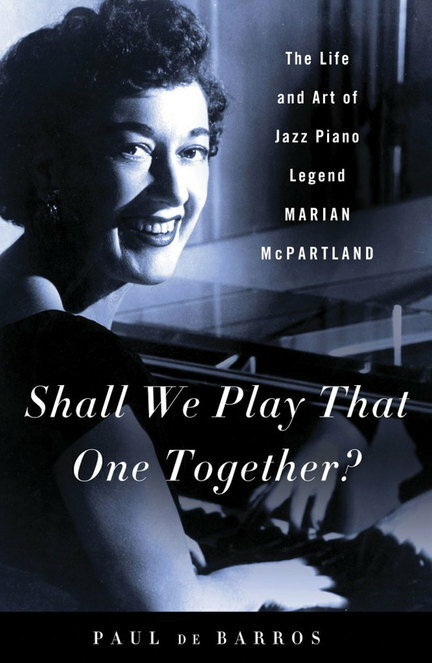 In this biography of renowned pianist and radio host Marian McPartland, the Seattle-based jazz writer Paul de Barros takes on the challenging assignment of writing about a living subject-one whose professional life has been well-covered in the media since her arrival in the U.S. in 1946. A biography without revelation might just as well be a lengthy Wikipedia entry. But in this case, the author benefitted from work done by not one but two writers whose books were never finished. De Barros also had access to the extensive diaries, correspondences and repeated attempts at autobiography from McPartland herself. Immersed in the man’s world of jazz in the ’40s and ’50s, McPartland was a female jazz musician when there were few, and she later became a champion of other women artists as well as emerging artists. It was a self-imposed mandate born most likely out of her own hardscrabble and sometimes paradoxical upbringing-a seesaw of warm encouragement and tough criticism from her parents and teachers in England before WWII-that also led her to teeter between the need to please and the need to be appreciated on her own terms. But the heart of the book is the nearly lifelong connection between the pianist and trad-jazz cornetist Jimmy McPartland, whom she met and fell in love with while they were both performing with the USO in Europe during WWII. De Barros beautifully captures their relationship, which was often tumultuous professionally and personally. De Barros is the rare jazz writer who can describe the intricacies of the music without being pedantic or obtuse. Better yet, that critical analysis never gets in the way of his dedication to narrative form. Although he did a ton of original research, he never lets multiple voices clog the story line. 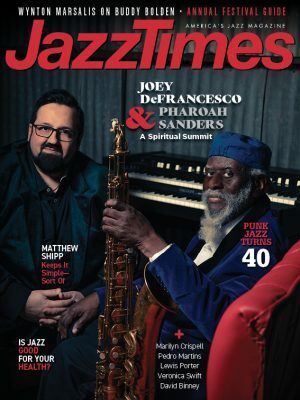 This book is, in short, one of the best jazz biographies of the past decade, and it will likely inspire the reader to go back and listen to the subject’s albums and radio broadcasts. Thanks to this bio, knowing all that McPartland overcame only makes those recordings resonate even more.